"The Alchemy Fund awarded me funding to start my costume design business – but using the same equipment I started doing artwork again – the business changed. As well as the money, it helped me to establish what I wanted to do – I also got funding and business advice from the Renwal Trust. Everything I gained from Alchemy I’ve now been developing in my business as a freelance artist. 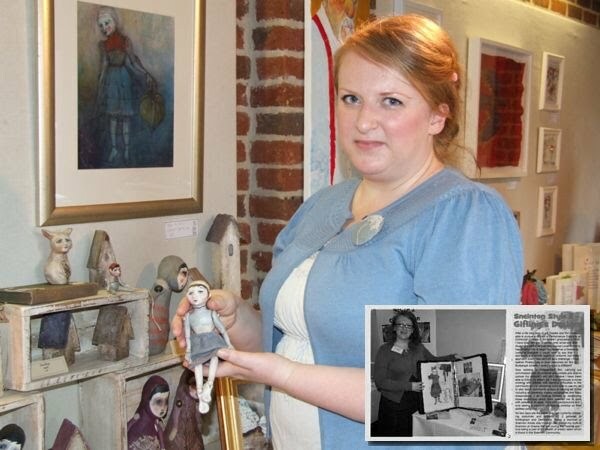 I’m now exhibiting in galleries, doing craft fairs and selling my work abroad through the internet. I write a blog about me – the artist behind the work- and run an internet shop on Etsy which opens up a global marketplace. If it wasn’t for Alchemy, I wouldn’t be doing what I’m doing now." Gillian has appeared on the TV show 'Show me the Monet' and been selected by the panel! Congratulations Gillian for your success!